Notice your negative gut reactions and underlying self-talk. As I said in the previous blog, your subconscious won’t let you be wrong. So the trick is to really identify those subconscious beliefs so you can begin to change them. The best way to identify these is to listen to your negative self-talk and pay attention to your gut reaction. For example, if you have a positive affirmation that says, “I am rich beyond my wildest dreams”, and every time you say that you hear that “little voice” in your head saying things like, “You could never be rich, you aren’t smart enough,” or perhaps, “no one in your family has ever been rich,” then listen carefully to those clues. These comments are a clue to your subconscious beliefs. Make a list of these comments so you can deal with them one at a time. Along with the self-talk, pay attention to your “gut reaction”. If your stomach tightens up each time you say this, then that is another clue to a subconscious belief. Spend some time exploring what your “gut” is telling you about this affirmation. Is it fear or anxiety or something else? Put these emotions on the list also. Make sure your affirmation is aligned with what you truly want. The way to do this is to get to know your Authentic Spirit better. You need to know your true values, what is important to you, and what dreams are unique to you in order to create meaningful affirmations for your own unique self. Sometimes we are influenced by friends, family or society and are not really clear on what we want for ourselves. Many times we have old outdated affirmations that were true for us 20 years ago, but not today. Example: I had a client who kept setting affirmations about creating a successful new business, but could not figure out why she wasn’t following through on what she said she wanted. After much work on values and how they have changed, she realized that since she retired from her very successful VP job, she had actually jumped right into a business opportunity because that is what she had always done—work, set goals, be successful. Now she realized that her Authentic Spirit was done with all that and had new priorities and goals—around volunteer work and making a difference. Once she stopped and really listened, and reconnected to her true self, she was able to re-align and become successful once again in a new way. Remember to bring your affirmations back to yourself. Many times we want things for other people. We hope by thinking positive we can change them. An affirmation must be about you, not about the world “out there”. You only have control over yourself. When you change your own beliefs, behaviors, and perspectives about what happens, this will then be reflected in your external reality. 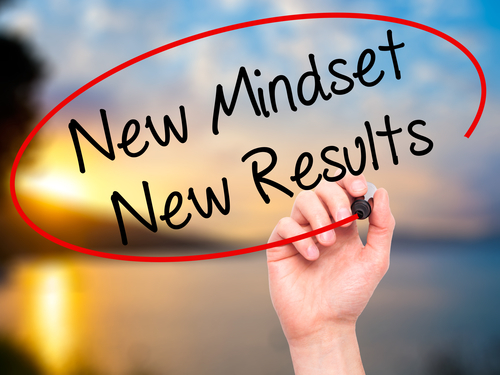 In the next blog, Positive Affirmations: Lock them in with EFT, we will discuss the process for making affirmations believable and true for you and locking these into your subconscious in order to change your patterns of belief. All your life you have been hearing about positive affirmations and the power of positive thinking. Maybe you have even posted phrases on your refrigerator or mirror that say, “I am super rich.” or “I attract only positive people into my life.” But then, when you look around your one bedroom apartment and realize you are having trouble keeping up with the rent and your boss at work is anything but positive, that gap creates even more frustration, guilt, and feelings of failure. You try to stay positive, to believe it’s coming “someday”, but in the meantime, your life feels stuck and out of touch with your beliefs. I have been working with affirmations and the power of intention for over thirty years and I can certainly relate to that scenario above. Does that mean we should all just give up on intentions? Should we just throw out the positive and become Debbie Downer? Of course not! 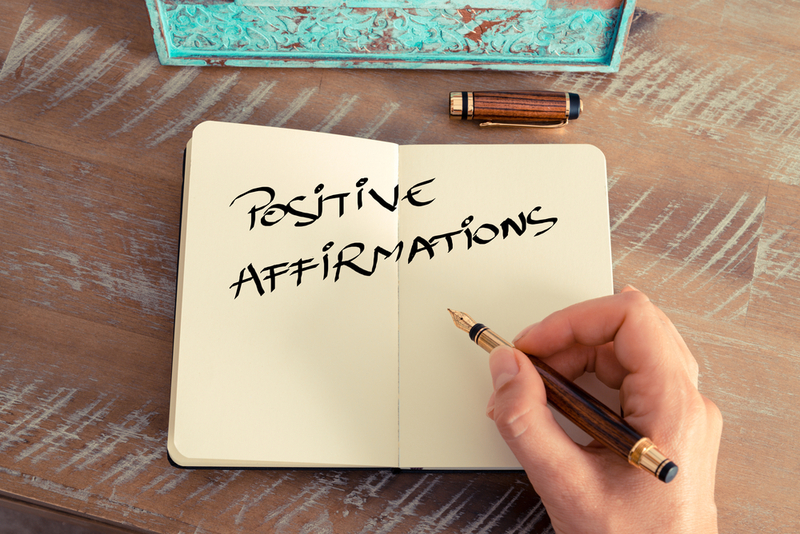 There is plenty of evidence that positive affirmations work. The big question most of us have is: Why isn’t it working for me right now in this situation? Your beliefs won’t let you be wrong. Your subconscious beliefs, the stories you have developed about who you are, and the unique perspectives that you have held all your life are what REALLY rule your reality. In fact, your subconscious will do just about anything to make sure what you believe is validated to you in the world. It’s a mechanism we have for staying sane, but it can also work against us. You are disconnected from your Authentic Self. Sometimes you think you want something that is really incongruent with what you truly want. You think you want to be rich or famous, but deep down your Authentic Spirit is much more interested in freedom of time or meaningful relationships or a simple life. When your personal values conflict with what you are asking for, your actual life choices might be reflecting something different than your affirmation. Your Positive Affirmations are based outside of yourself. An affirmation must be about you, not about the world “out there”. You only have control over yourself. You can change your own beliefs, your own behaviors, your own perspective about what happens and then, in turn, this will be reflected by your external reality. Don’t despair if you have been feeling discouraged about your positive affirmations. Take inventory of your own beliefs and see where you might fit into these categories. In the next blog, we will spend some time on quick remedies to these common mistakes and how the process of EFT (Emotional Freedom Technique) is a great process for correcting and locking in more positive and believable statements that can change your frustration into hope and encouragement. We all know about this one. Fear of change, fear of failure, fear of success, fear of the unknown—these are but a few of the things that feed our inner- critic and keep us from getting unstuck. These fears need to be identified and cleared in order begin to move forward. Becoming more aware of what these old beliefs are is the first step. You can’t change anything until you become conscious of what it is. Then you can question these old beliefs and also use wonderful tools like EFT Tapping to clear them away. This is a huge one. This is what I find for a lot of my clients. For example, they come to me with a goal to reach a particular level in their business. As we begin to work through what is in their way—the fears, the inner critic, etc. and then begin also to create a vision of what they want, identifying their values and what is fulfilling for them—it becomes apparent that there is a conflict between the goal and what is important to them. Many times we set goals based on what other people think we should do, or on what success “should” look like, and then find the process of working towards that goal to be filled with unrest and conflict. Sometimes our inner-critic is doing the goal setting. Becoming more familiar with your authentic self you can learn to align your goals with what is truly important to you, not your spouse, your parents, the culture, etc. We take in other people’s expectations as to what we should be and want, and sometimes forget what’s true for us. Frequently people who have gone into business for themselves find their inner critic really running the show. They left corporate jobs because they wanted more freedom or flexibility only to find their inner-critic is worse than any boss they ever worked for. Perhaps you haven’t taken the time to really define what it is you want, write it down, or create a plan to get there. Most people don’t know as much about what they truly want things to be like as they do about what they don’t want. How do you get where you are going when you don’t have a good picture of “there”? These goals are more like “wishes” that live in your head with “someday maybe” attached to them. Always somewhere in the future when something else is taken care of first. Maybe your goals are unrealistic. Even you yourself don’t remotely believe you could get them. You can say affirmations daily that you’d like to be independently wealthy, but if you really don’t see yourself being capable of achieving that, and it’s too overwhelming to break down into a plan, then it probably isn’t going to happen. Conversely, if you have a goal so small it doesn’t inspire or stretch you at all, then it won’t hold any energy and will quickly be forgotten. Sometimes this means your priorities have really shifted from what you initially thought was a top priority. That goal has now become secondary. We sometimes stick to old goals because we are used to them. Maybe we keep setting a goal to be the #1 salesman, but have forgotten that we are actually a couple of years from retirement and being number one isn’t really as important as it once was. That’s great to realize! What’s important is consciously knowing that is what’s happened so you can make different choices without guilt or feelings of failure. In this scenario, you aren’t doing what you set out to do because you are letting day-to-day stuff interfere. There could be lots of reasons for this, but basically, you have that nagging feeling of guilt and failure and frustration because the choices you are making are more unconscious than conscious and aren’t aligned with your priorities. 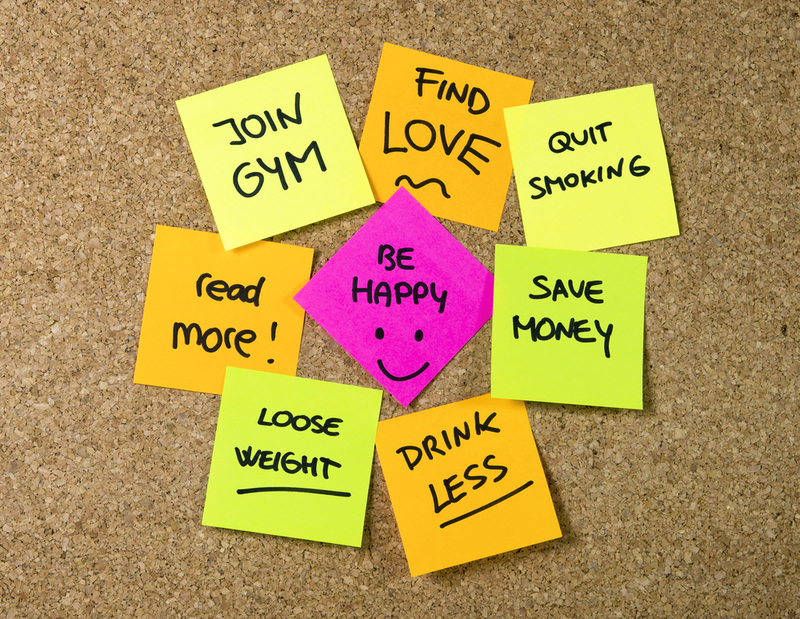 So take another look at those New Years Resolutions that you haven’t been keeping up with. Run them through the list above and see if it strikes a cord. Consider the option of hiring a coach. It’s a wonderful way to help you create a structure, a support system, and get feedback and accountability that will help you reach those important goals for 2018. One of the biggest gifts of coaching is clarity. With clarity, you can begin to really know when you are working on the right things. And with clarity comes a sense of peace about what you are doing and the ability to truly enjoy the journey along the way!